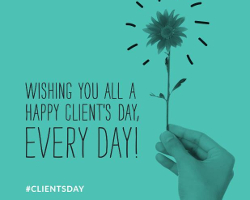 Originated in Klaipėda, Lithuania in 2010, this holiday was created to celebrate clients worldwide and their contribution to various businesses. Clients are the foundation of every business and TRMI is especially appreciative of each and every client we do business with. Thank you for your continued trust and confidence!